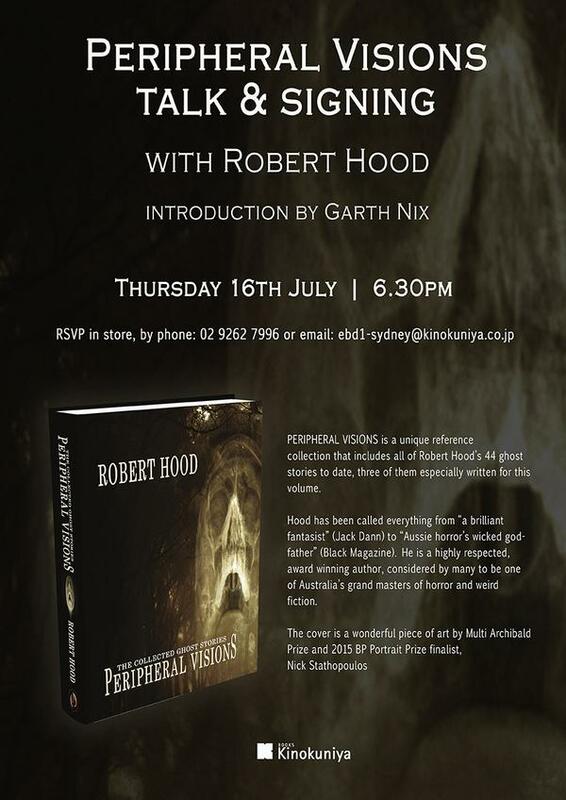 So it’s less than a week to the launch of Peripheral Visions: The Collected Ghost Stories at Kinokuniya in Sydney on Thursday 26 July 2015 at 6.30pm. There will be books available — and they are gorgeous. They’re also filled with some of my best and most applauded stories, rife with thrills, chills, melancholy, laughter, and a plethora of metaphorical reflections on mortality and the things that haunt us. 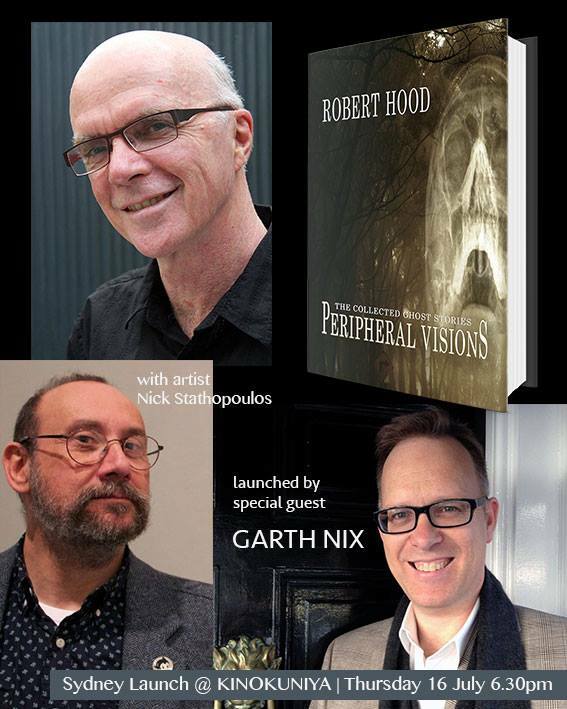 In attendance on the evening will be best-selling fantasy/SF author Garth Nix, who will be doing the honours in regards to launching the book, Nick Stathopoulos, the well-respected and multi-talented artist whose brilliant work not only adorns the cover but is also scattered throughout the book, and myself, who will join with this auspicious pair to celebrate the wonders of Things Seen Out Of The Corner Of Your Eye, and explore what Peripheral Visions is and why you should have a copy. Afterwards, you can get your copy signed by both author and artist. I’m sure Garth would even be willing to sign it, if you wanted to memorialise the launch for posterity. That this event takes place in Kinokuniya – arguably the best and most awesome bookshop around – is just the icing on the spectral cake. Addendum: It would be really helpful if anyone who intends to go to the launch could navigate to the Event page on Facebook and click GOING — just so the organisers can get some idea of potential numbers. Thanks! 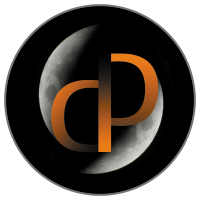 Robert Hood is a long-time writer of weird tales and other speculative fiction.